lewisburg is the county seat of marshall county, tennessee. lewisburg is located in the rolling hills of middle tennessee, midway between nashville and huntsville, al. the downtown area is similar to many other small southern towns, with a courthouse in the center of the square surrounded by historic retail buildings. 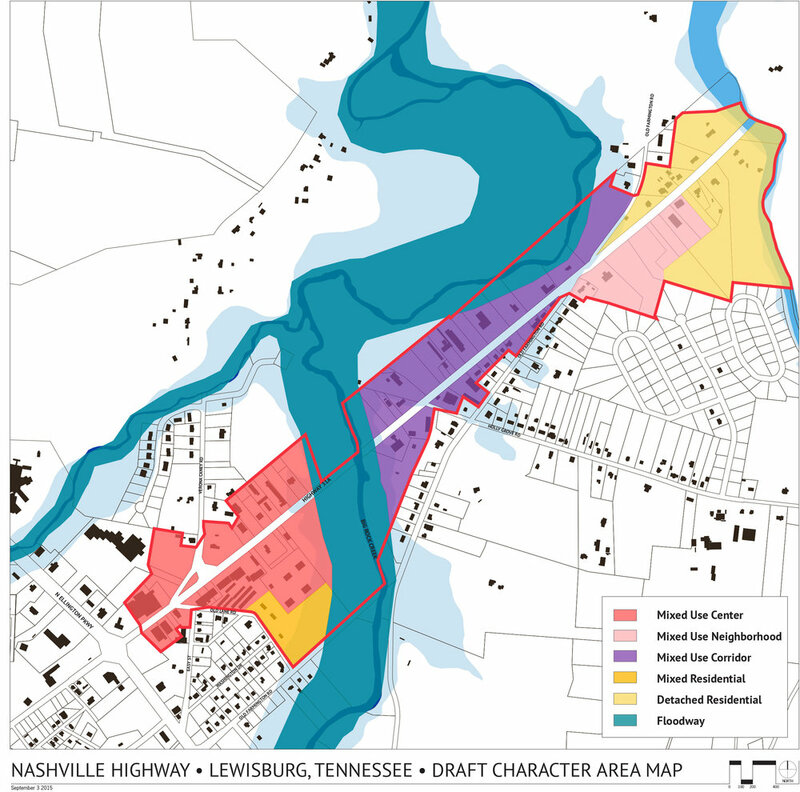 in addition to downtown preservation, lewisburg’s vision 2035 plan calls for new zoning to shape development along its corridors. Common Ground is currently updating the zoning for Lewisburg’s primary corridors through a public-participatory process. The new zoning will guide the transformation of these corridors from a one-size-fits-all development pattern into a series of distinct character areas.